An underspend on a town council budget allocated for boosting police patrols in Leighton Buzzard and Linslade is to be used to fund community projects helping to combat the fear of crime. 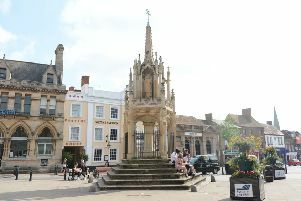 Leighton-Linslade Town Council has earmarked £40,000 annually through Operation Dodford for a number of years. The agreement has allowed it to request extra policing resources for events and activities that wouldn’t otherwise receive an officer presence, such as the twice weekly market and community events. But with the town council advised recently that Beds Police can no longer charge for such ‘normal’ patrols which the Force should be providing routinely, it has resulted in a sizable chunk of the budget left over. It follows a landmark court ruling where Suffolk Police was told it couldn’t charge Ipswich Town for policing streets around the stadium on match days. With the end of the financial year looming, the council anticipates that about 40% (£16,000) of the total Dodford budget will be unspent and has decided to use the funds to support community schemes – to a maximum value of £2,500 each. A council report says: “Any likely underspend could be carried forward or moved into general reserves. Whilst both activities are legitimate, this does little to help combat the fear of crime within the Parish. The council also intends to use some of the surplus to improve signage within parks that raises awareness that CCTV cameras are in operation. One of the first recipients of some money is Rangers Boxing Club, with members agreeing to allocate them £1,600 for the purchase of boxing equipment. A council spokesman said: “We recognise the added value that disciplines such as boxing can bring. In doing this, we are also responding to the Howdo Residents Survey we carried out in the summer. This asked that where considered appropriate, more money be directed to our young people. “We hope the boxing club will return to Pages Park pavilion later this year and at that time, we will look to purchase said equipment (punch bags on frames that can be wheeled in and out of rooms).